Nablus. Palestinian Territories. 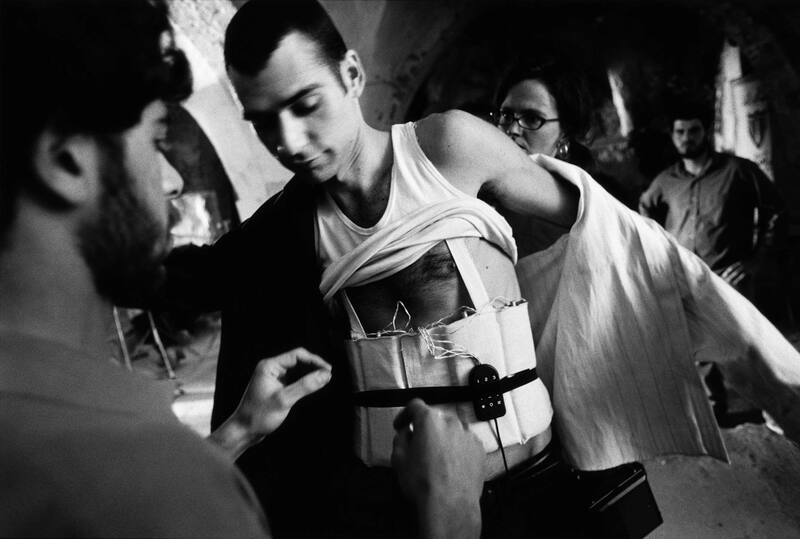 2004 Actor Kais Nashef is fitted with a suicide belt by local militants versed in its authenticity.